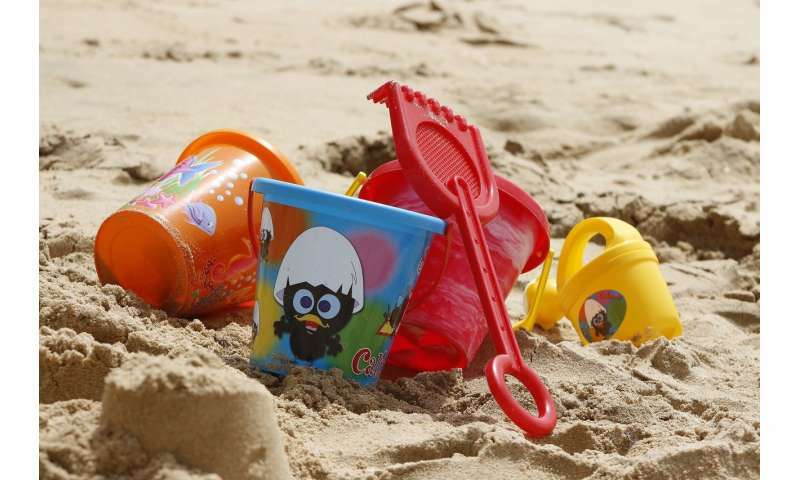 High levels of the carcinogenic chemical cadmium can still be found in everyday household products like second-hand plastic toys, drinking glasses, alcoholic beverage bottles, ceramics and artists' paints, according to new research by the University of Plymouth. Writing in Science of the Total Environment, scientists also suggest it is unintentionally finding its way into glass and other items through the recycling process. However, a study by Dr. Andrew Turner shows that the surfaces of common items covered by those laws may have many times more than the legal or recommended levels. The highest readings of up to 70,000 ppm were recorded on the enamels of old and new drinking glasses and bottles, with cadmium detected in about 70 per cent of the 197 logos, patterns, text, pictures and cartoons tested on 72 products. Dr. Turner has previously conducted research which showed that cadmium and a host of other harmful elements are present in second hand plastic toys and drinking glasses, and he says these still undoubtedly pose the greatest threat of harm. "If you asked most people about cadmium they'd probably know very little about it. But it is listed among the World Health Organisation's ten chemicals of major public health concern, alongside substances such as lead and asbestos. As such, it is concerning to see it in such high quantities in so many household products. The health risk depends on how easily the cadmium can flake off or leach out and additional tests performed indicate that this is greatest for enamelled glassware. "The product labels on some items do contain warnings about the presence of cancer-causing chemicals. But the heat-resistant nature of cadmium means it is not destroyed by the recycling process and so could be unintentionally finding its way into newly recycled articles. Given that there are non-toxic alternatives available, and knowing the effects that cadmium can have, you have to question why it is still being used at all." Gosh, and here I thought that Cadmium was an element and hence impossible to change chemically. Provided by the University of Plymouth = Ranked 51st out of 131 U.K. universities. In all fairness, although it's not the heat resistance that causes the problem, the cadmium does get into glass or plastic made by recycling material that is painted or colored with it. But I gave you 5 stars anyway, because you're right, it was pretty dumb.